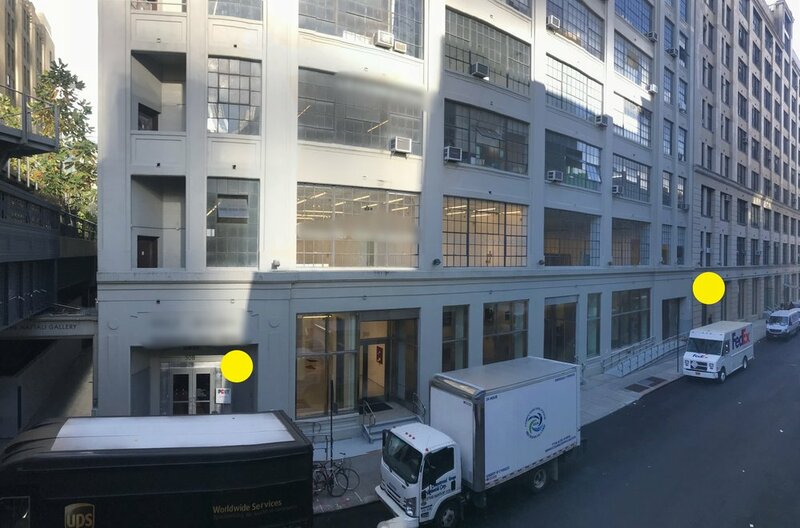 The West Chelsea Building is an iconic hub of over 200 art studios and galleries situated in the heart of Chelsea's Art district located at 508-526th West 26th Street. There are passenger elevators at the 508 W 26th Street and at 526 W 26th Street. The freight elevator is located in between the two building at 516 W 26th St and this is how art, furniture are taken into the building.